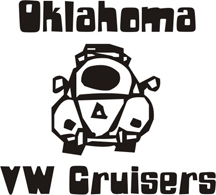 Oklahoma Vw Cruisers • Lets see what you got!!!!!!!!!!!!!! I started this thread 1st because I looked through the site and did not see one 2nd I wanted to see what everyone else was wrenching on. Ill start first here is mine affectionately called Elizabeth. 71 Super 1776, Stock heads counterweight crank, 110 cam w 34 pict 3. Re: Lets see what you got!!!!!!!!!!!!!! Here is mine. It is a 1966.